During cold and windy winter days, many birds and mammals are found in vegetative cover that protects them from the elements. Conifers efficiently provide this kind of coverage. Unlike deciduous trees that drop their leaves during the fall, evergreen conifers retain their needles year-round. By retaining their needles, conifers can provide more shelter during the winter than deciduous trees. Conifers are therefore often used for their thermal or nesting cover. In Pennsylvania, conifers are an uncommon habitat feature, composing approximately 8.4% of Pennsylvania’s land cover. The most common conifers in Pennsylvania are eastern hemlock (Tsuga canadensis) and white pine (Pinus strobus), but other species such as Virginia pine (Pinus virginiana), pitch pine (Pinus rigida), black spruce (Picea mariana), and red spruce (Picea rubens) can be found in parts of the state. Conifer cover across Pennsylvania is generally sparse because of historic overharvesting and is currently declining from the loss of eastern hemlocks to the hemlock wooly adelgid (Adeleges tsugae), an exotic invasive insect. The scarcity and further decline of conifers in Pennsylvania makes conifer cover an important yet limited resource in the state. Planting conifers as part of a reclamation process creates new areas of conifer cover that will benefit wildlife. Conifers can provide cover for white-tailed deer (Odocoileus virginianus), ruffed grouse (Bonasa umbellus), wild turkey (Meleagris gallopavo), and several nongame mammal and bird species. Conifers tend to be very adaptable to site conditions, and have been used historically in reclaiming surface mines. Planting conifers on reclaimed well pads, pipelines, and other disturbances can help slow the loss of conifer cover in Pennsylvania. Conifers are often planted to provide cover for wildlife. However, there are also several birds that feed on conifer seeds. Pine siskins (Carduelis pinus), white-winged crossbills (Loxia leucoptera), and several species of finches seek out conifers to feed on the cones. Warblers, kinglets, and chickadees will also forage for insects in conifers. Several mammals use conifers for food as well. Snowshoe hares (Lepus americanus), white-tailed deer, and eastern cottontails (Sylvilagus floridanus) browse the foliage, and red squirrels (Tamiasciurus hudsonicus) feed extensively on conifer seeds. Possibly the most important resource that conifers provide is year-round cover. Conifers are used as nesting cover, thermal cover, and escape cover. Young, densely planted conifers that form thickets provide the best cover for wildlife. As the pines mature, self-prune, and shade out understory plants, they rapidly decline in wildlife value. Several different species are known to use young conifer plantings. Young stands are especially important for two species of conservation concern: the Appalachian cottontail (Sylvilagus obscurus) and the prairie warbler (Dendroica discolor). The Appalachian cottontail, a species of high conservation concern in Pennsylvania, can be found in recently planted pine plantations that have significant grass and forb cover. Prairie warblers, a species of maintenance concern in Pennsylvania, are found in scrub-shrub areas, usually those that have some young pine component. Other songbirds, such as the common yellowthroat (Geothlypis trichas) and field sparrow (Spizella pusilla), have responded positively to smaller conifers planted on reclaimed surface mines, suggesting that pines may provide important habitat for these species. Conifers are especially important for birds and mammals during the winter months. Wintering songbirds such as golden-crowned kinglet (Regulus satrapa), black-capped chickadee (Poecile atricapilla), and brown creeper (Certhia americana) are often found in conifer groves during winter. Popular game species such as white-tailed deer, wild turkey, and ruffed grouse are also known to prefer conifers for cover. For example, in a study from Missouri, wintering ruffed grouse preferred to roost in stands that had dense conifer cover. The conifers reduced wind speeds and thermal radiation loss, thus providing an important component of winter cover. During the breeding season birds will also choose to nest in conifers. Red-breasted nuthatches (Sitta canadensis) and black-throated green warblers (Dendroica virens) are two species that preferentially nest within conifer groves. Prairie warblers will also use young pine plantations, and isolated clumps of conifers provide excellent nesting sites for mourning doves (Zenaida macroura). Preserving the existing coniferous forests of Pennsylvania is a priority and conservation concern. Disturbances located within coniferous stands will fragment the continuity of the forest and may negatively affect some wildlife species that shy away from disturbances. Most of the fragmentation of Pennsylvania’s coniferous forests is from the construction of roads and rights-of-way. Construction of both roads and pipelines will increase as the development of natural gas fields progresses. Though disturbances would ideally be located outside of coniferous stands, this is not always possible. When construction must occur within or adjacent to coniferous stands, reclaiming the disturbed area with conifers may lessen the fragmentation of the forest. Many different wildlife species are associated with extensive coniferous forests. Many of these species are considered forest-interior species that avoid disturbance and forest edges. Various species of conservation concern, such as sharp-shinned hawks (Accipiter striatus), blue-headed vireos (Vireo solitarius), and northern flying squirrels (Glaucomys sabrinus), are susceptible to the fragmentation of coniferous forest. Planting conifers on disturbed areas within or near coniferous forests may decrease the edge effect, encourage wildlife travel across the disturbance, and create additional habitat for conifer-associated wildlife. If possible, select conifer species for reclamation based on the adjacent habitat. Hemlocks are not recommended for reclamation because they are not tolerant of most soils or climates and are susceptible to hemlock wooly adelgid. Which Conifers Should Be Planted? Several different species of conifers have been used in previous reclamation studies. We can use this information to select coniferous species that will likely succeed on reclaimed well pads and benefit wildlife. In Pennsylvania, conifers to plant include eastern white pine, pitch pine, Virginia pine, red pine (Pinus resinosa), and white spruce (Picea glauca). One of the most common and recognizable conifers in Pennsylvania is the eastern white pine. This native species has successfully been used in previous surface mine restoration projects and will likely be successful if planted on restored well pads. Like all tree species, certain site conditions affect white pine growth. In general, white pines require higher quality sites than other pine species. On surface mines, white pines perform best on deep, well-drained, sandy sites. Growth is adversely affected by high levels of soluble salts, and growth may be limited by the availability of soil phosphorus. On sites that are unsuitable for white pine because of soil depth, acidity, salinity, or drainage, more tolerant pine species such as Virginia pine or pitch pine should be planted. There are several similarities and differences between eastern white pine and other pines. Similar to other pine species, white pine has a low soil pH limit of 4.0. However, white pine can also tolerate higher pH values than most other pines can. White pine is also more compatible than other pine species with herbaceous ground covers planted for erosion control because it can tolerate limited amounts of shade. The moderate shade tolerance also makes it suitable for underplanting or mixed plantings with hardwood species. If left undisturbed for several decades, white pine can provide some economic benefits in addition to providing wildlife habitat. On good sites, white pine can produce more merchantable timber than any other pine species. Growth is slow the first few years after planting but is very fast after it reaches the sapling stage, and trees can grow quite large. White pine can produce merchantable timber in 30 to 40 years. A Pennsylvania native, pitch pine can be found on Pennsylvania ridges and other dry, acidic sites. Pitch pine is a slower growing but very acid-tolerant species that is useful in reclaiming very acidic and dry sites. Pitch pines have been planted on restored surface mines and have also naturally colonized surface mines. In Pennsylvania, 36% of pitch pines planted on coal mine spoils were alive ten years after planting with an average height of 20-25 feet. On a reclaimed New York landfill, the average height of surviving planted pitch pine was about 5 feet one year after planting. Another conifer that has historically been used in reclamation is a pitch x loblolly pine hybrid (Pinus rigida x taeda). Loblolly pine is a fast-growing species that is not found in Pennsylvania but is native to the southeastern United States. A pitch pine x loblolly pine hybrid combines the rapid growth rate of loblolly and the cold tolerance of pitch pine. Hybrids have been successfully planted in the Marcellus region of western Maryland and will likely succeed in southwestern Pennsylvania as well. This hybrid is not a native species. Planting of hybrids is not preferred if native pure pitch pine will suffice, but the hybrid may be planted if deemed necessary to establish conifer cover. Virginia pine is a native species that is especially useful for reclaiming acidic and dry sites. It is adapted to harsh sites and can tolerate some of the driest sites in the Appalachians. It has a shallow root system, which makes it suitable for shallow soils. It is also tolerant of acid mine soils with pH levels as low as 4.0. Virginia pine is more drought-tolerant than white pine. On sites that are unsuitable for white pine due to soil depth, acidity, salinity, or drainage, other pine species such as Virginia pine should be planted. Virginia pine is one of the most widely planted conifers on reclaimed surface mines in the Appalachian region, and should be used in reclaiming well pads, pipelines, and other disturbances on dry, acidic soils. Red pine is not native to most of Pennsylvania, but is native to the northern extreme of the state as well as New England and Canada. Even as a nonnative, red pine is commonly planted in the state because it usually does not naturally establish outside of the plantings. In Pennsylvania, red pine can be planted in the northern part of the state (north of I-80) and at high elevations. A management concern of red pine is that it is highly susceptible to European pine shoot moth and should not be planted in areas that have a high incidence of this insect, such as in Christmas tree plantations scattered throughout the state. Like red pine, white spruce is not native to Pennsylvania, but poses little invasive potential and is useful in many plantings. White spruce is native to New England and Canada, but has been successfully planted in Pennsylvania. Planting white spruce is recommended in the northern Appalachians and at higher elevations in the central Appalachians. Spruces are less adapted than pines to dry, infertile soil and should be planted on better quality soil and on cool, moist sites. Growth is slow for the first few years, but growth rate usually increases after this period. White spruce is shade-tolerant and persists in the understory of other woody species. White spruces retain their lower branches, offering great cover for wildlife. The seeds of white spruce are also important for red squirrels, small mammals, chickadees, nuthatches, crossbills, and pine siskins. Not all conifer species are recommended for reclamation because some are not native to North America, have specific site requirements, or are difficult to establish from plantings. Eastern hemlock is one such Pennsylvania native that is not recommended for planting because it is very slow-growing and is susceptible to hemlock wooly adelgid. Red spruce, black spruce, and balsam fir (Abies balsamea) are all native to portions of Pennsylvania, but they are not recommended because they require specific site conditions. These species are limited to high elevations with cool, wet conditions and will likely not survive in reclamation plantings. Sites where these species are present have wet soils and should not be developed. The high-elevation bogs that contain these trees should be protected because these are rare ecosystems that contain numerous rare wildlife and plant species. Most conifer species that are not native to North America should not be planted when reclaiming for wildlife. Most of Pennsylvania’s native pine trees can provide similar if not better sources of food and cover than many of the nonnative conifers planted ornamentally. Nonnative conifers to avoid include Austrian pine (Pinus nigra), Scots pine (Pinus sylvestris), mugo pine (Pinus mugo) and Japanese larch (Larix kaempferi). Mugo pine and Austrian pine have been used previously in surface mine reclamation but with poor survival and growth. Japanese larch is a nonnative deciduous conifer that has been used successfully in surface mine reclamation. Japanese larch is easy to establish, grows rapidly, and allows more ground cover because it drops its needles in the fall. However, this characteristic means that it provides little to no cover during the winter when wildlife are in critical need of shelter. One nonnative species that managers may cautiously experiment with is Norway spruce (Picea abies). Norway spruce is native to northern Europe and Russia but is also extensively planted in the United States. Norway spruce does not show invasive characteristics, but will sometimes naturalize along with native vegetation. A study that predicted the invasions of nonnative woody species found that Norway spruce was one of only three species that presented a low enough risk of invasion to recommend planting. Norway spruce is the fastest-growing spruce and tolerates more soil conditions than most spruces. Although Norway spruce is not native, managers may choose to plant this species as an alternative to hemlock. Hemlocks are difficult to establish because of their specific site requirements, and many hemlock stands in Pennsylvania are dying from the invasive wooly adelgid pest. As these hemlock forests disappear, Norway spruce plantations may partially mitigate hemlock loss for some coniferous forest wildlife species. Norway spruce is somewhat similar in structure to eastern hemlock and can provide similar cover for wildlife. However, Norway spruce likely will not support the insect communities that hemlock stands do. It is unknown how successful Norway spruce will be at supporting hemlock-associated species, so plantings should be done sparingly and on a trial basis. Conifers that are native to North America should be planted instead of Norway spruce when possible. In addition to selecting the correct conifer species to plant, choosing the correct planting design will partially determine how wildlife will use conifer plantings. For example, patches of conifers are better for wildlife than scattered, isolated trees or clusters of a few trees. This is because the densely planted conifers provide greater cover and refuge from the weather than a single conifer. Additionally, patches of younger pines are more beneficial than larger pines. Young pines provide cover for nesting birds, ruffed grouse, and rabbits. As the pines mature, self-prune, and shade out understory plants, the structure of the stand becomes more homogenous and the wildlife value declines. Conifers best benefit wildlife when planted in either clumps or bands of five rows or more. Planting conifers such as white pine, Virginia pine, or white spruce in 1-acre clumps creates winter cover for ruffed grouse. Across the landscape, there should be about 1 to 5 acres of these clumps within each 40-acre unit. To create bands of dense cover, plant the trees on 3-4 foot spacing with 5-6 feet between the rows. The seedlings in one row should be spaced alternately with the seedling spacing in the next row. These densely planted bands may also help stabilize the soil on steep banks when planted on the contour. Alternating these bands with strips of herbaceous or deciduous tree and shrub cover further improves the habitat quality of the site. Conifers can also be planted to increase the vertical structure of reclaimed areas. This can be accomplished by completing an underplanting 4-5 years after the initial planting. An underplanting is a second planting of shade-tolerant conifers (e.g., white pine and white spruce) that is established underneath existing vegetation. This provides wildlife with new levels of cover. This is especially important for nesting birds that have very specific nest height preferences. Conifers may also be suitable for planting on pipelines. Here, conifers can be planted at 6 x 6 foot spacing. When a pipeline parallels an existing right-of-way, conifers should be planted on the side adjacent to the undisturbed forest. If a pipeline is not adjacent to an existing right-of-way, then conifers can be planted on both sides. Conifers can be planted as visual screens across pipelines to reduce vision, trespass, and unwanted vehicle use. The Pennsylvania Department of Conservation and Natural Resources suggests that coniferous screens should be 20 feet wide, consisting of three rows of white pine, pitch pine, Virginia pine, or red pine planted on 6 x 6 foot spacing. Remember that tree roots may pose a risk to the pipeline, so planting of trees may be limited along the right-of-way. Compacted soils will likely be a hindrance to the survival and growth of any woody species on reclaimed well pads. Loose soils improve tree survival and growth because more water can infiltrate the soil down to the roots, more air and water are stored underground, and tree roots have more space to grow. To minimize soil compaction, low-compaction grading techniques should be used when recontouring the site. If soils are already compacted, a dozer and ripping blade may be required to loosen the soils. See Repairing Soil Compaction in this field guide. For more information on low-compaction grading and soil ripping, please see the Appalachian Regional Reforestation Initiative, Forest Reclamation Advisory 3. There are a few concerns to consider when planting conifers. One is the lack of herbaceous vegetation growing beneath conifers. Ground cover is less diverse and fewer species become established under conifers than hardwoods because of the dense shade. Conifers should not be planted near woodrat and rattlesnake basking areas. Basking areas are important sunning areas, and conifers provide too much shade when planted adjacent to these areas. Mast-producing shrubs are a good alternative to plant near basking areas. Some pests of conifers may damage plantings. The white pine weevil (Pissodes strobi) is a pest that damages eastern white pine plantings. White pine weevils prefer open-growing trees less than 20 feet tall, making reclamation plantings a prime target. Land managers have some control options to reduce the chance of weevil damage. One is to plant pines at high densities. A minimum density should be 800 trees per acre (9 x 6 foot spacing), but the ideal density is 1,200 per acre (6 x 6 foot spacing). These high densities are also good for wildlife because it creates thick cover. Not all of these trees need to be white pine because the goal of planting the conifers close together is to create competition for light, which then results in more vertical growth instead of horizontal growth. Another management option is to mechanically control infestations by pruning infected leaders (the longest stem on a branch) and branches. Infestation can be identified by finding wilted, reddish-brown branches and leaders. Pruning should be done as soon as possible after the first signs of wilting, and infested leaders should be destroyed or removed from the site. Although mortality from weevils is rare, it does happen in small trees (less than 4 feet tall) growing vigorously in full sunlight. These are conditions found on recently planted reclaimed areas. Another pest that may cause issues is the European pine sawfly (Neodiprion sertifer). This nonnative species prefers red pine, but may also feeds on white pine and pitch pine. Though mortality is uncommon, sawflies can defoliate trees, stunting their growth. Sawfly larvae initially feed only on the needle surface, causing the needle to turn brown and wilt. As the larvae mature, their feeding becomes more extensive and needles are stripped. To control sawfly damage, destroy branches that contain overwintering eggs of the sawfly. The female deposits cream-colored eggs n the current season's needles, but the eggs are not easily seen until they increase in size just prior to larvae emergence in spring. Colonies of young larvae can also be eliminated by removing and destroying infested branches. Andrews, J. A., J. E. Johnson, J. L. Torbert, J. A. Burger, and D. L. Kelting. 1998. Minesoil and site properties associated with early height growth of eastern white pine. Journal of Environmental Quality 27: 192-199. Burger, J. A., and C. E. Zipper. 2002. How to restore forests on surface-mined lands. Reclamation guidelines for surface mined land in southwest Virginia. Virginia Cooperative Extension Publication 460-123. < pubs.ext.vt.edu/460/460-123/460-123_pdf.pdf >. Accessed 1 October 2013. Goodrich, L. J., M. C. Brittingham, J. A. Bishop, and P. Barber. 2005. Wildlife habitat in Pennsylvania: Past, present, and future. <http://www.fish.state.pa.us/promo/grants/swg/nongame_plan/pa_wap_sections/appx2habitat_pt2.pdf>. Accessed 1 October 2013. Gorsisra, B., and K. L. Risenhoover. 1994. An evaluation of woodland reclamation on strip-mined lands in east Texas. Environmental Management 18: 787-793. Hamid, A., T. O’Dell, and S. Katovich. 1995. White pine weevil. Forest Insect and Disease Leaflet 21. U.S. Department of Agriculture, Forest Service. Holl, K.D., and J. Cairns, Jr. 1994. Vegetational community development on reclaimed surface mines in Virginia. Bulletin of the Torrey Botanical Club 121(4): 327-337. Pennsylvania Game Commission and Pennsylvania Fish and Boat Commission. 2005. Pennsylvania Wildlife Conservation Strategy. Thompson III, F. R., and E. K. Fritzell. 1988. Ruffed grouse winter roost site preference and influence on energy demands. Journal of Wildlife Management 52: 454-460. Torbert, J. L., Burger, J. A., and T. Probert. 1995. 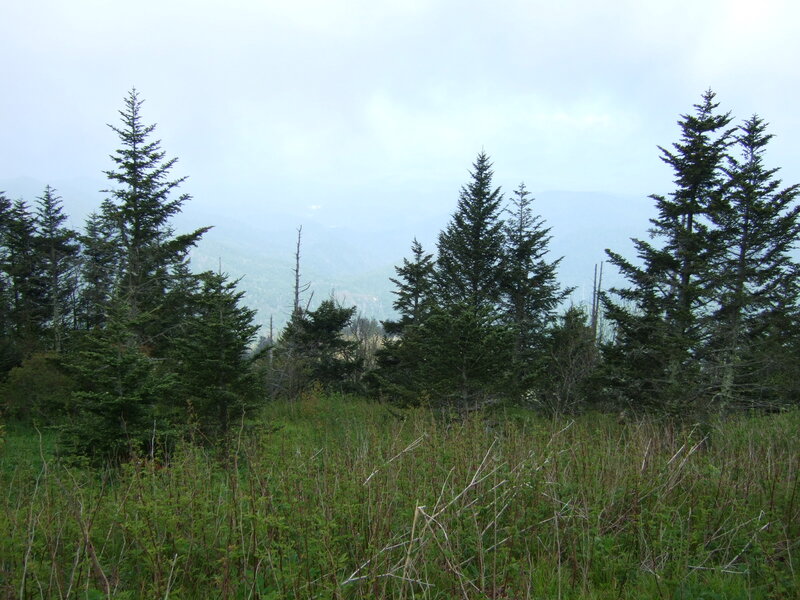 Evaluation of techniques to improve white pine establishment on an Appalachian minesoil. Journal of Environmental Quality 24: 869-873. Vogel, W.G. 1981. A guide for revegetating coal minesoils in the eastern United States. USDA Forest Service General Technical Report NE-68.